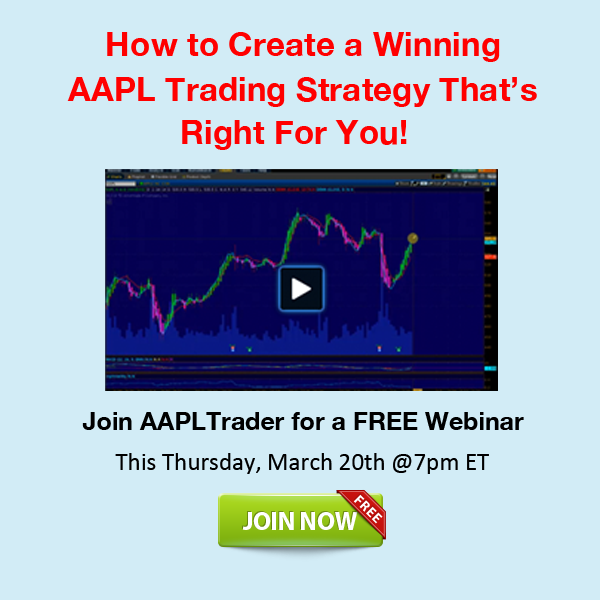 AAPLTrader.com shows you how to create a winning AAPL trading strategy that’s right for you! Register Here for a Free AAPL Trading Webinar and get a Free Membership to the AAPLTrader Community. Credit Spreads Vs. Debit Spreads, which are better? 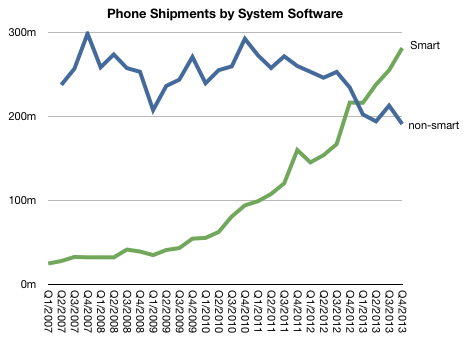 The smartphone market continues to grow. 2013 saw total shipment of around one billion units (up from 683 million in 2012). In contrast, non-smartphone shipments continue to decline, with shipments around 800 million (down from 987 million in 2012). I also suggested that the notion of distinguishing phones with the”smart” tag would become irrelevant and that we would just call these devices “phones”. We consider the pros and cons of innovation within an operating business – “intrepreneurship” – compared with creating an autonomous enterprise for the “new new thing”. I contrast BMW i with General Motors’ failed Saturn experiment. via The Thin Red Line | Asymcar. There was once a time when websites published only what mattered and nothing else. But thanks to the way content is monetized, today’s journalists have become the equivalent of 1950s factory floor workers. 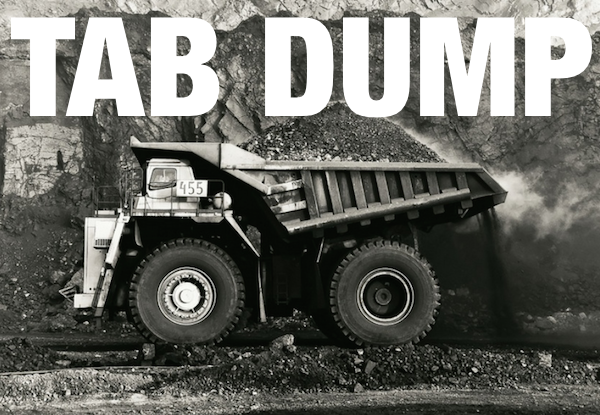 Tab Dump aims to wind back the clock to a simpler time by rethinking what a news site should look like. First: Forget rich media, and forget stories in reverse chronological order. Tab Dump has no images, so it loads instantly, and it’s split into two sections: Tech News and World News. Each section has stories listed alphabetically, making it easier to find the exact story you care about. Second: The “stories” are only a few sentences long, packed with as much detail as possible, because your time is valuable, so why waste it with filler? And third: Tab Dump has opted out of the page view race, there’s only one Tab Dump per day. 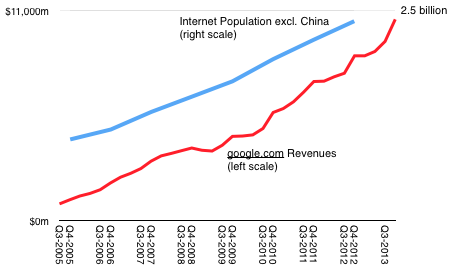 From 2005 through 2012 Google site revenues1 have risen at a rate consistent with the growth in global Internet population excluding China2. 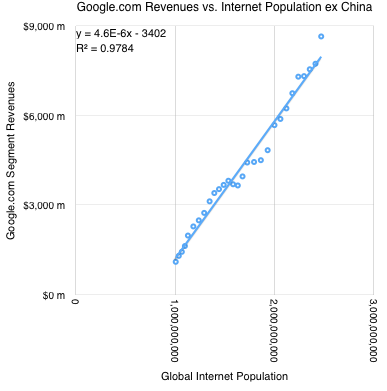 The Internet population and Google.com revenues for the period 2005-2012 are shown in the following graph. 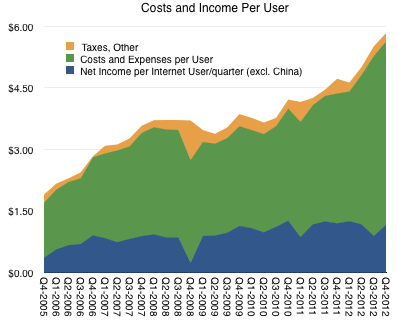 The simple conclusion is that Google earns approximately $1.2 per user per quarter (net income is the blue area above). This figure is relatively constant with a slight increase (~20%) over 3 years. If the company does not alter its business model then the future potential of the business could be measured as a function of Internet (ex. China) population growth. The next post will answer this question. 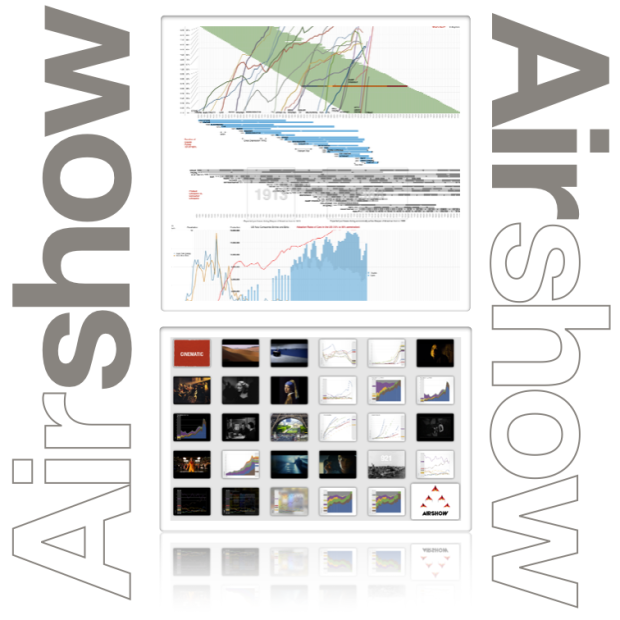 We talk about CarPlay, MWC2014, Microsoft and Nokia, “Tim Cook’s outburst”, per-user value, and re-evaluating how we analyze companies in tech. via 5by5 | The Critical Path #113: Takt Time. When trying to assess the success of an ecosystem, the primary measure is the size of the user base or the “audience” for the product. Companies like FaceBook and WhatsApp and Twitter are measured first and foremost on this metric. Companies like Google, Amazon, Apple and Microsoft are less so. When revenues are firmly attached to products the focus shifts to “follow-the-money” rather than “follow-the-users” metrics. That’s as it should be, but for the sake of understanding the competition between ecosystems, they should be compared on some similar basis. 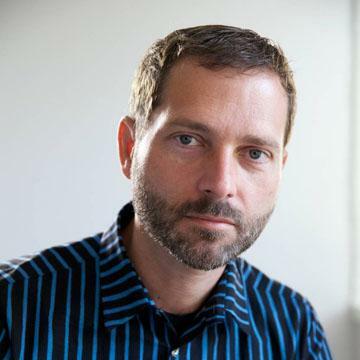 If the basis of competition in this day and age is ecosystems1 how does one evaluate Facebook’s vs. Microsoft’s? Or, more poignantly, how does one compare WhatsApp’s valuation with that of iMessage? The implication is that users/subscribers/audience members are loyal and will stay with the programming for some time. There is also a second implication that businesses which are not measured by audience size don’t have this loyal and recurring revenue base. The absence of an “audience” implies transience and impermanence and results in deep discounting of long-term viability.